I’m thrilled to be In Conversation at Dymocks Busselton on 21 September, talking about The Hope Fault in the place this book has its beginnings. You won’t find The Hope Fault‘s Cassetown, Little Casse Bay or Point Geologue on a map. Cassetown is a fictional place, made up for the novel. Cassetown isn’t the Busselton suburb of Vasse, but – in my mind – it’s not far from there. Cassetown is a little bit Cowaramup, a little bit Dunsborough (and a little bit rock’n’roll). I’m looking forward to bringing The Hope Fault home to Busselton, and to Dymocks, on 21 September. I hope to see you there. Join Dymocks Busselton for an ‘In Conversation’ with Tracy Farr, talking about her second novel, The Hope Fault. RSVP: required by phone ((08) 9754 4410) or email busselton@dymocks.com.au. Full details on the WritingWA events calendar, and on the Dymocks website under Events in Western Australia. Read the article Maureen Eppen wrote for the West earlier this year, Family faultlines explored, in which I talk about the importance for me of the Busselton/Dunsborough region, and the part it plays in The Hope Fault. 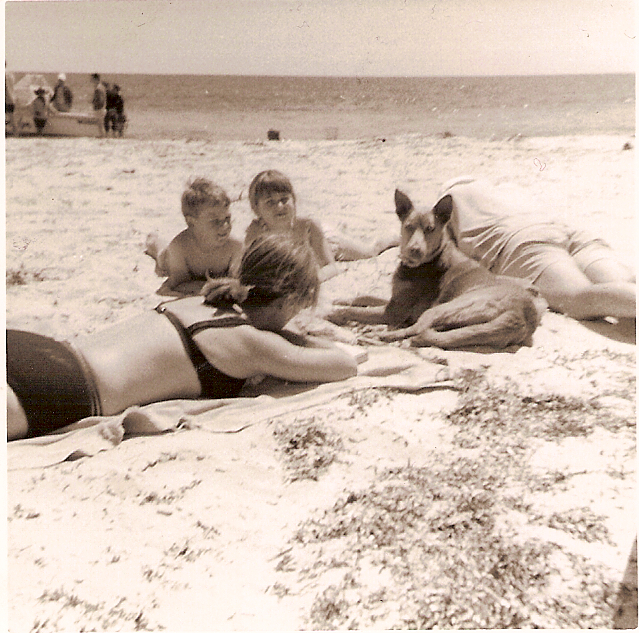 Image: me (with my mum and dad and brother, and a holiday dog), on the beach at Siesta Park, c. 1971.